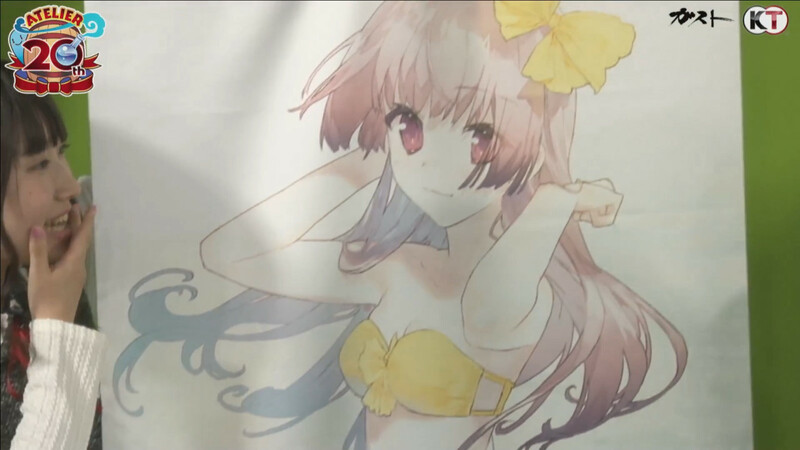 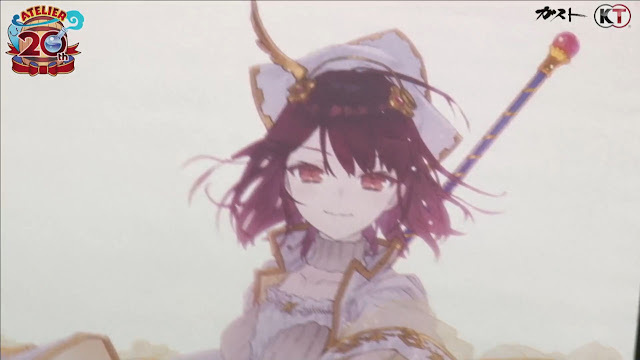 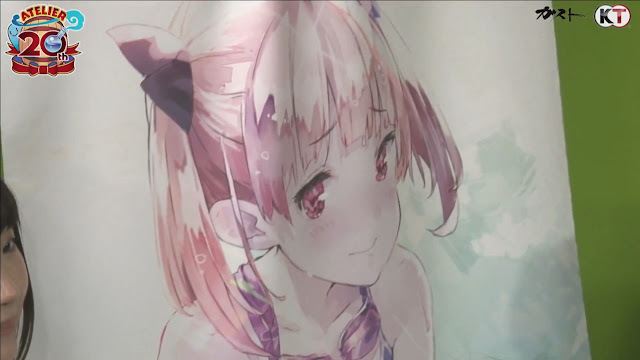 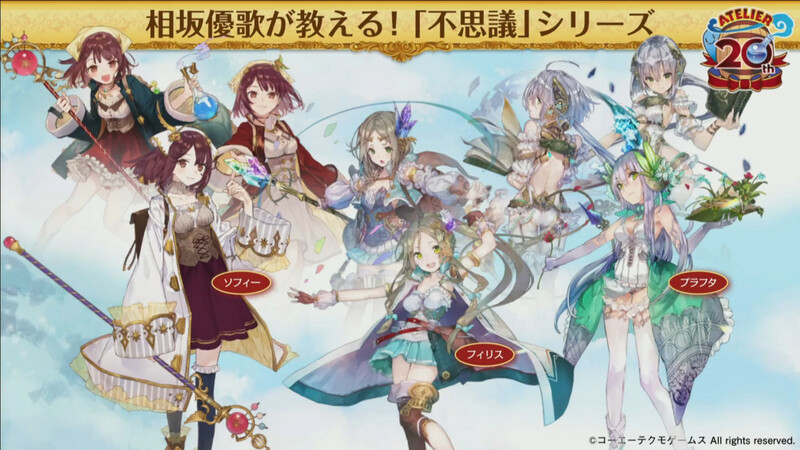 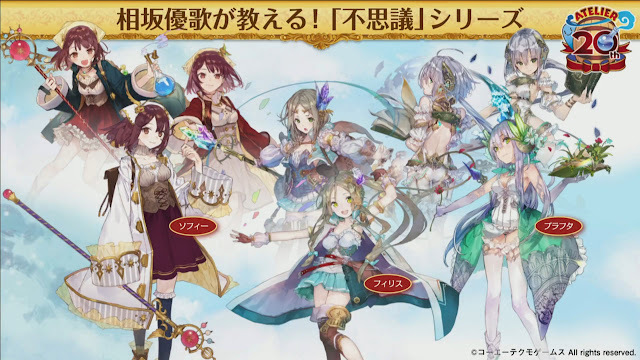 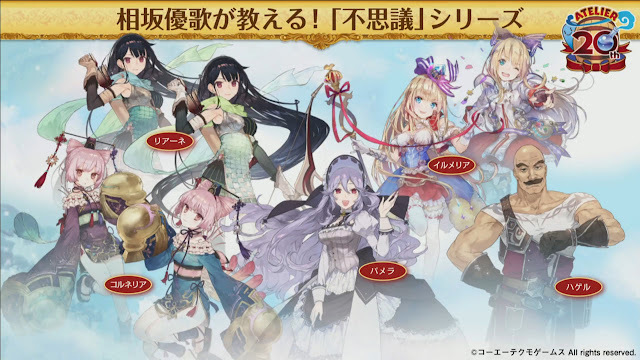 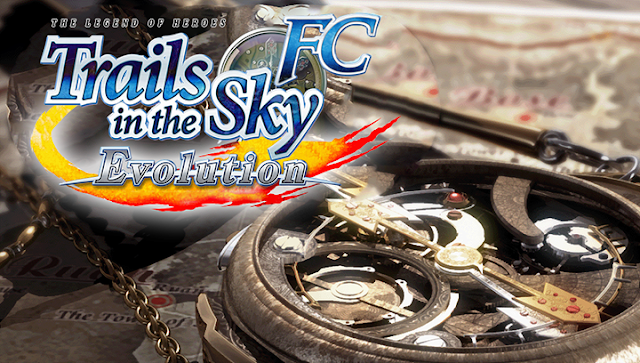 Pre-reg for Atelier Online reached 100.000. 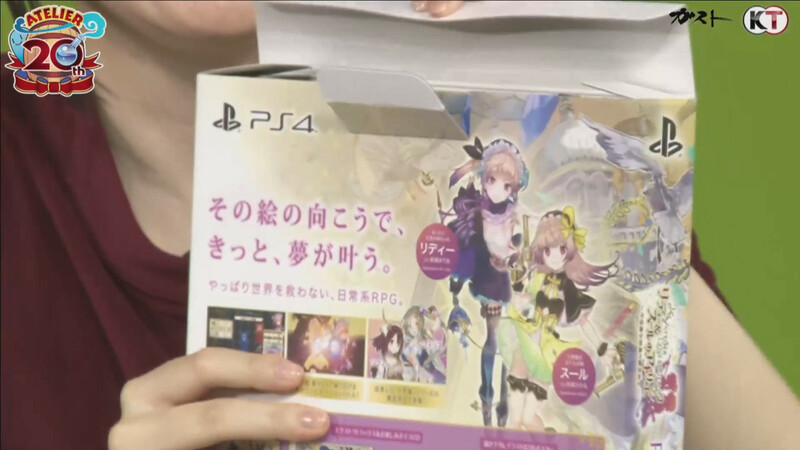 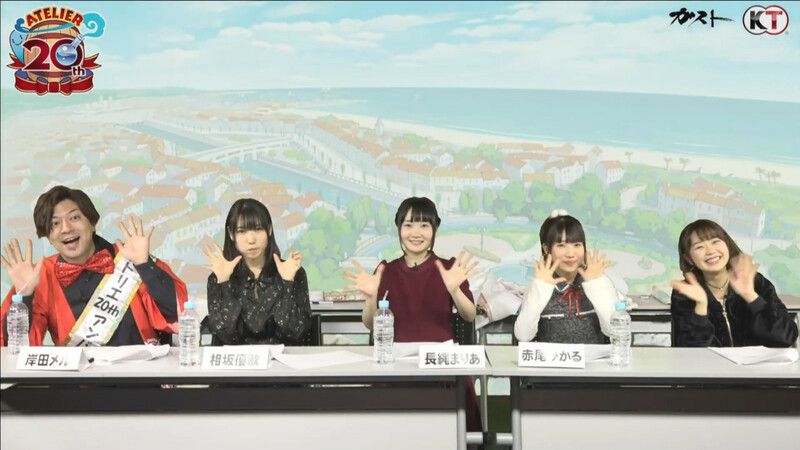 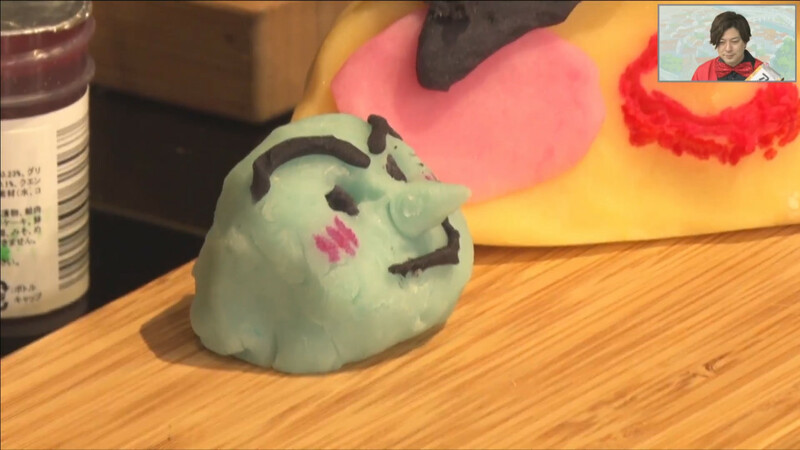 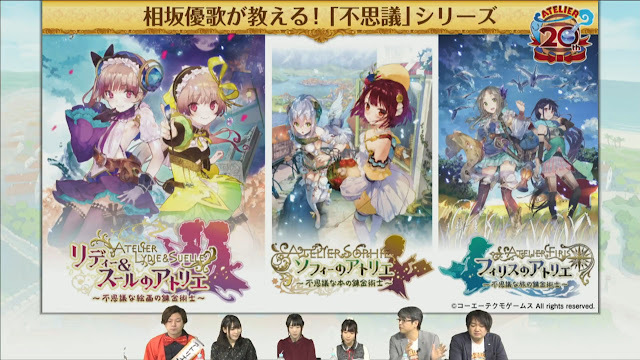 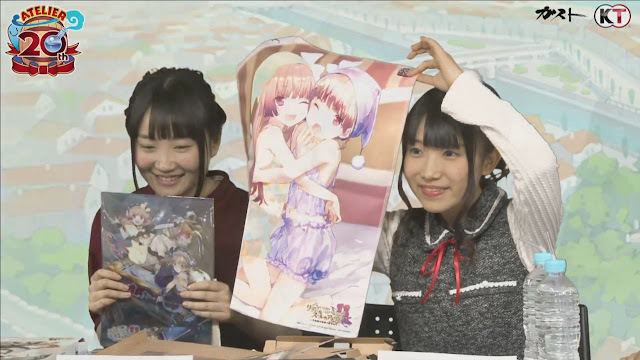 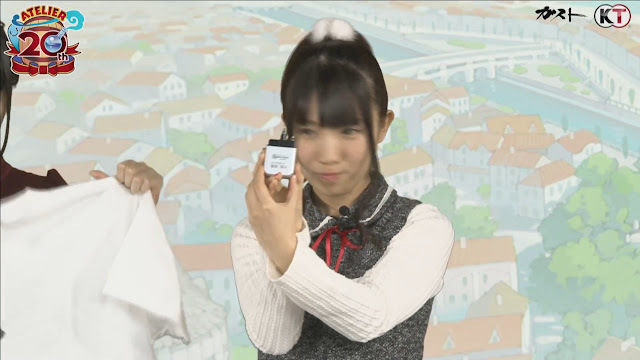 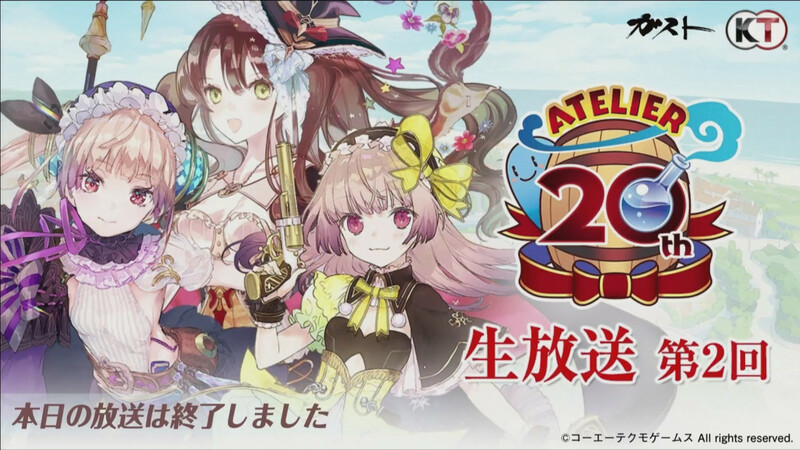 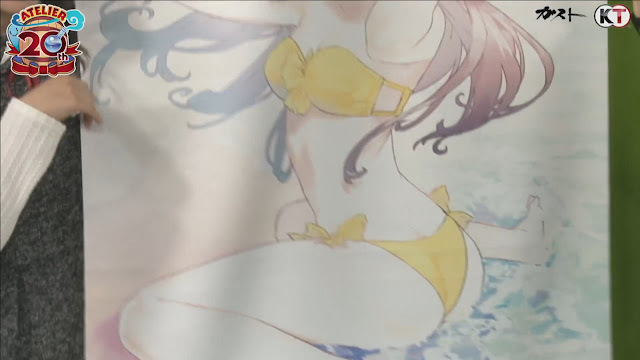 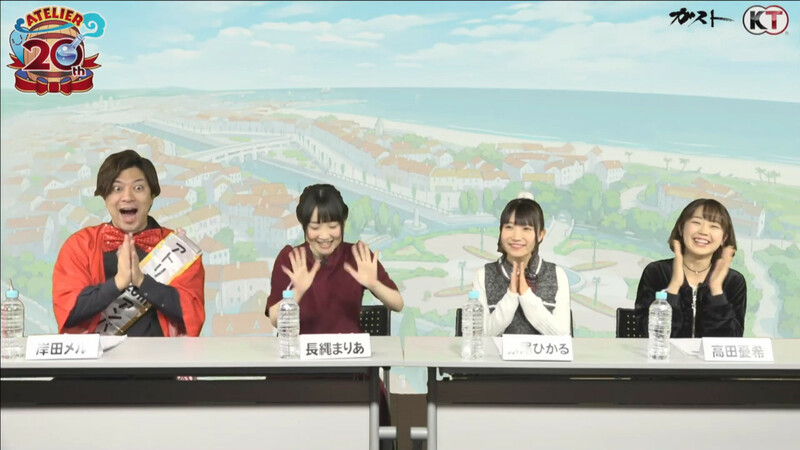 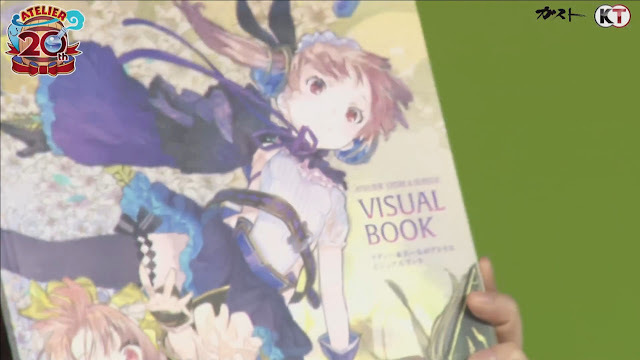 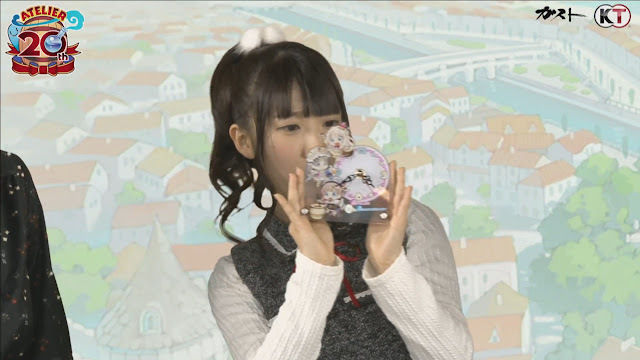 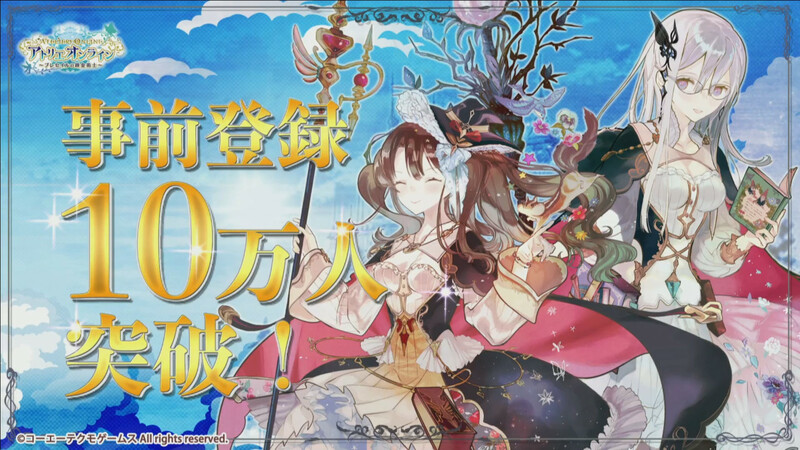 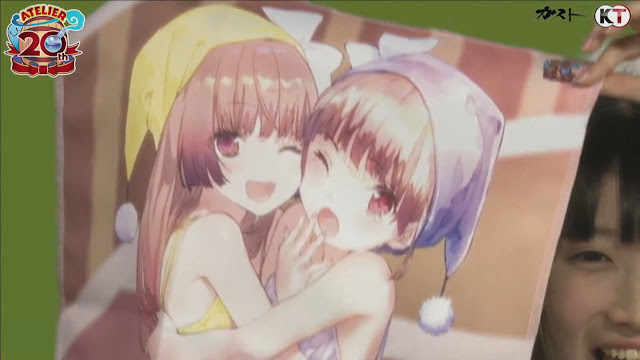 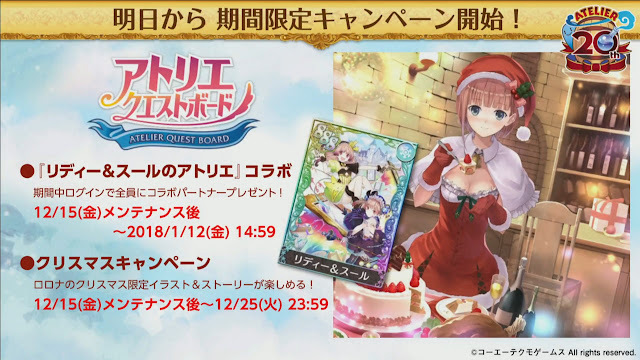 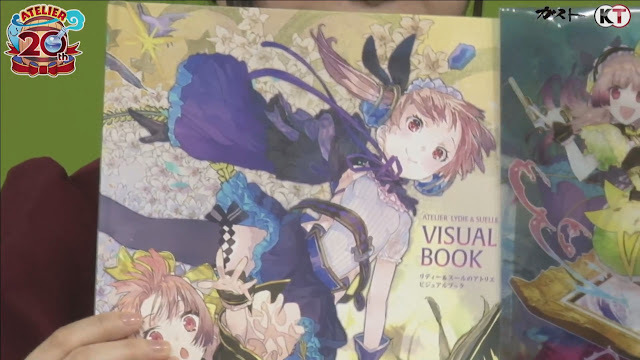 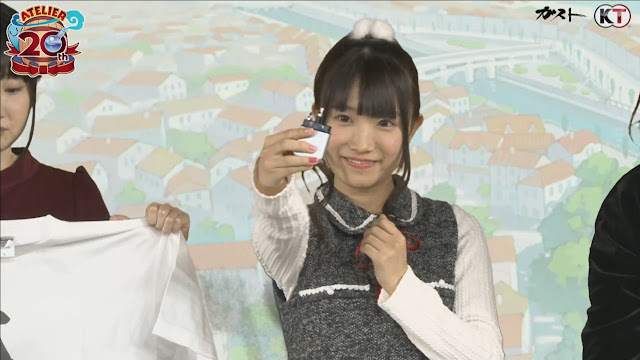 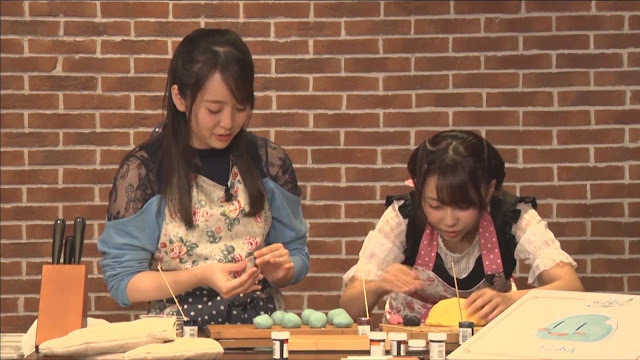 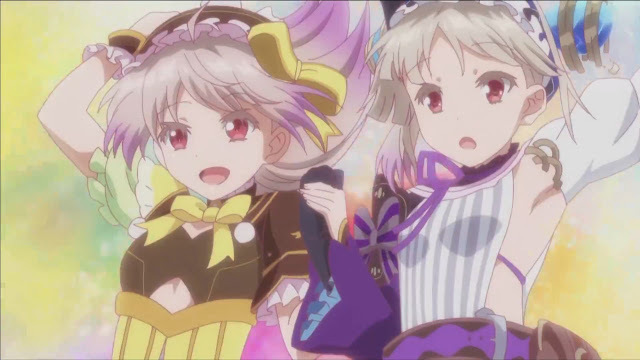 Atelier Quest Board, Lydie & Soeur Collab., Christmas Campaign. 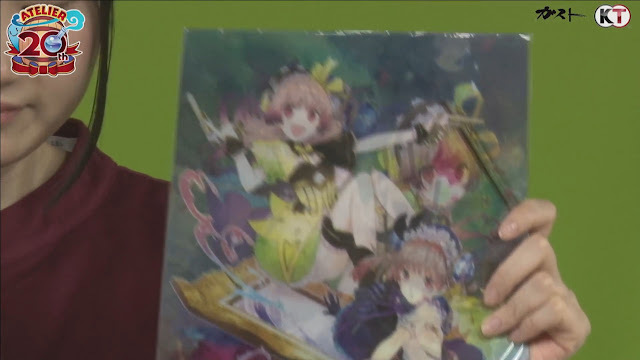 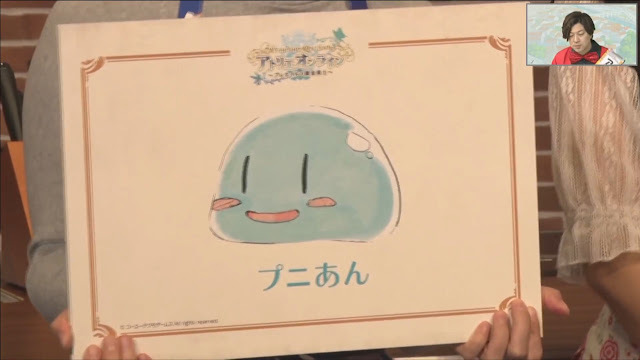 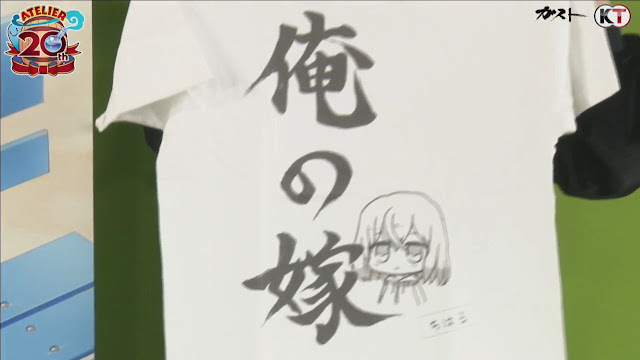 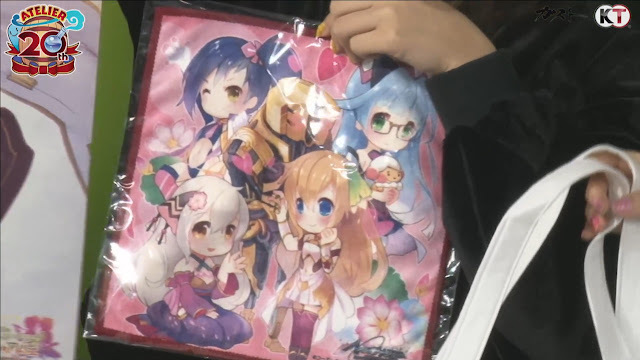 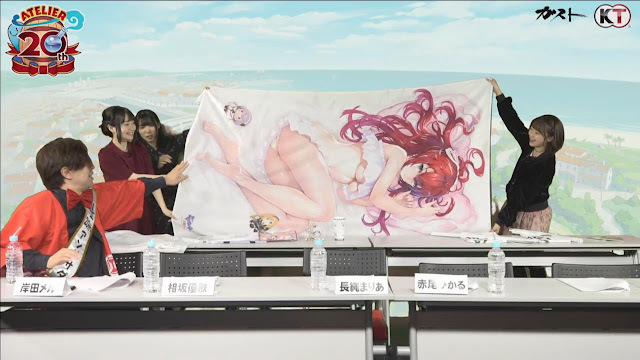 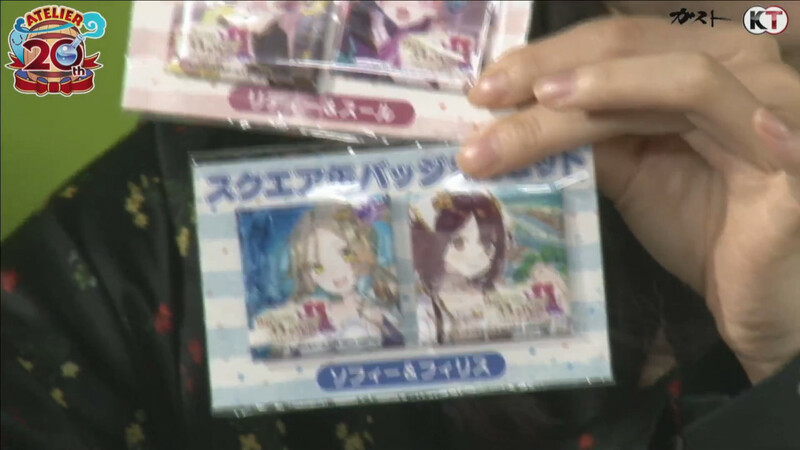 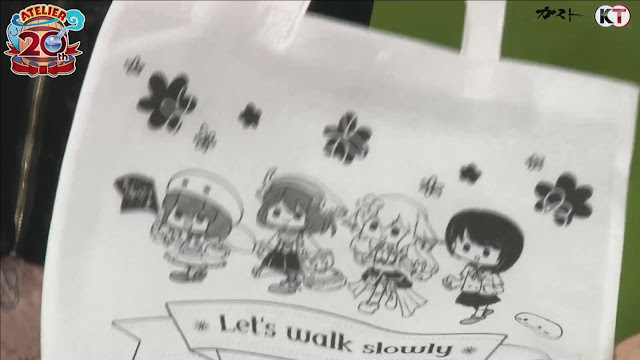 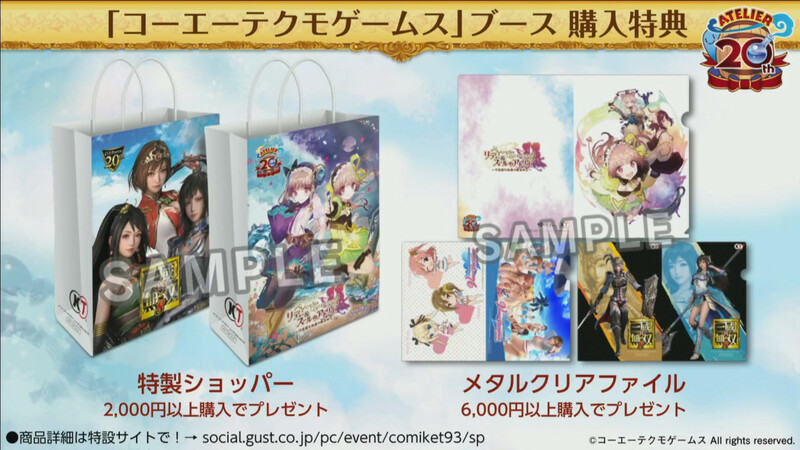 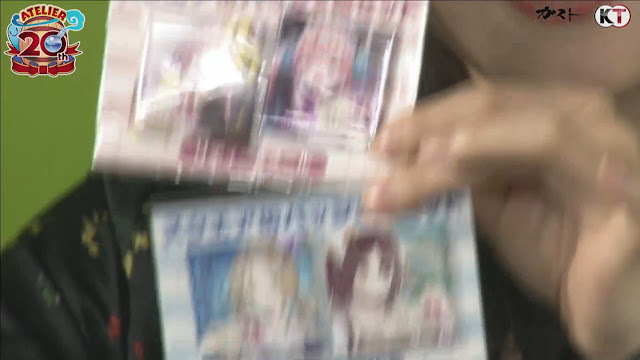 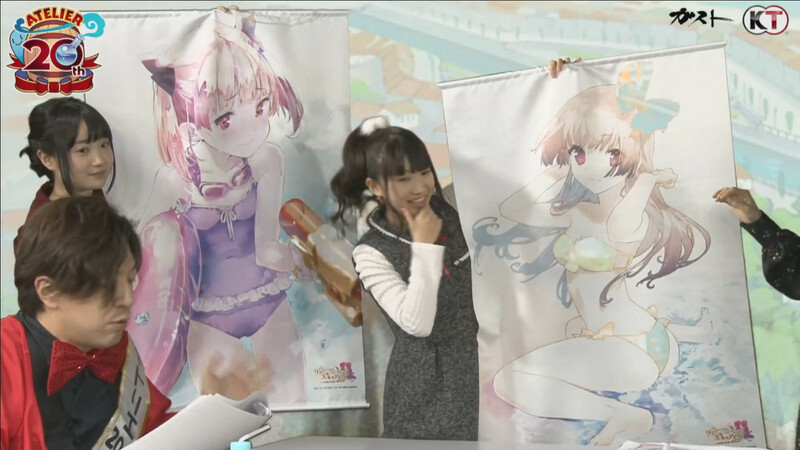 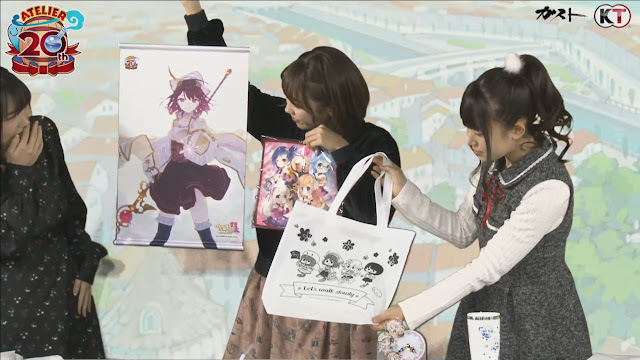 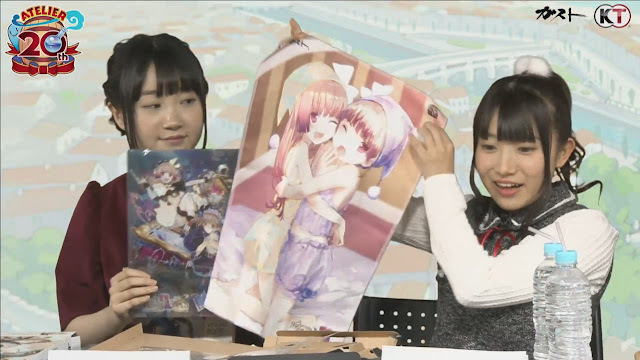 Customer who bought 2,000 yen or more on Koei Tecmo Games Comiket booth get Shopper Bag, 6,000 yen or more get Metal Clear File. 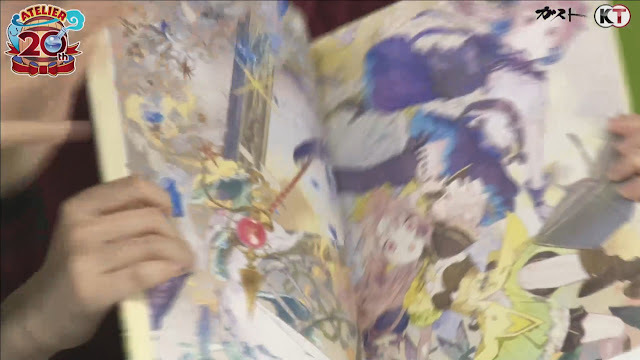 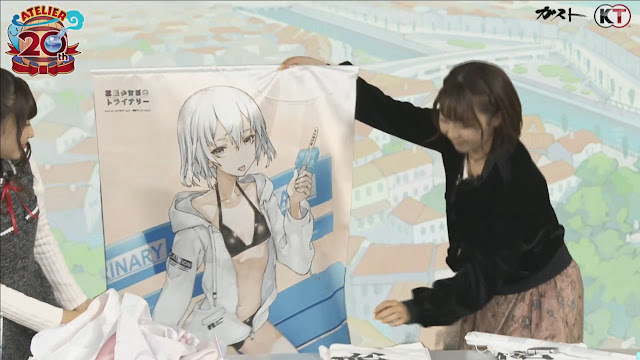 Tapestry 4,500 yen. 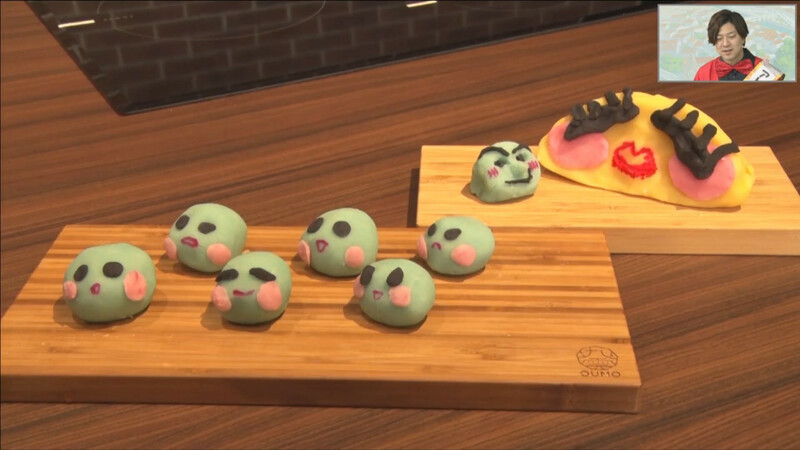 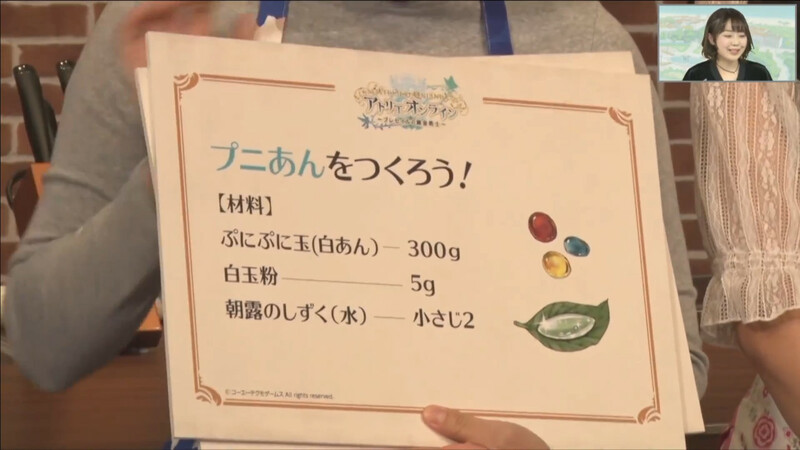 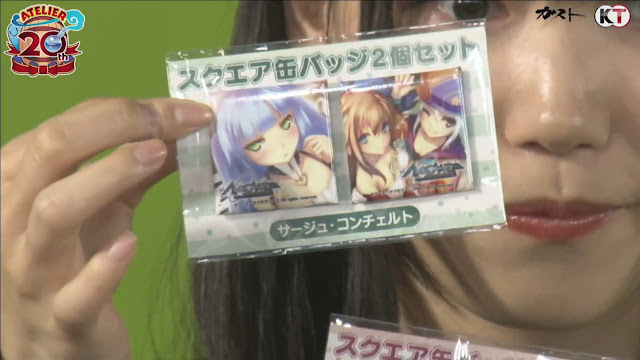 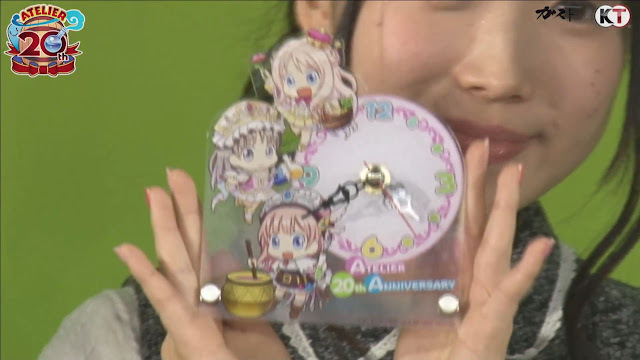 Square Can Badge 2 set 800 yen each. 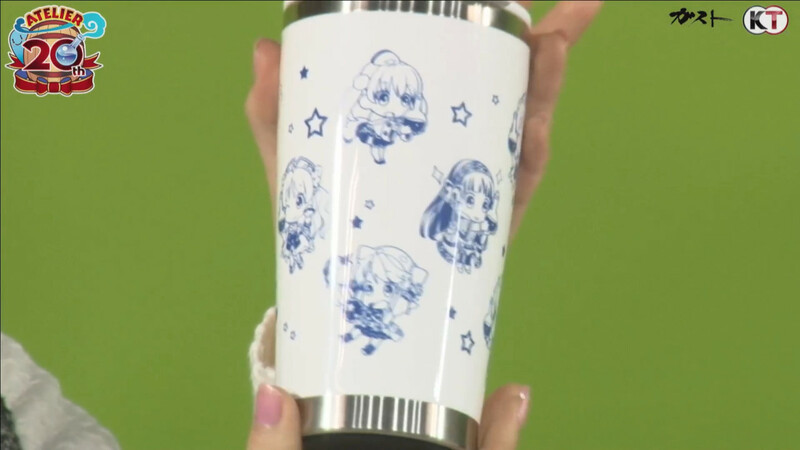 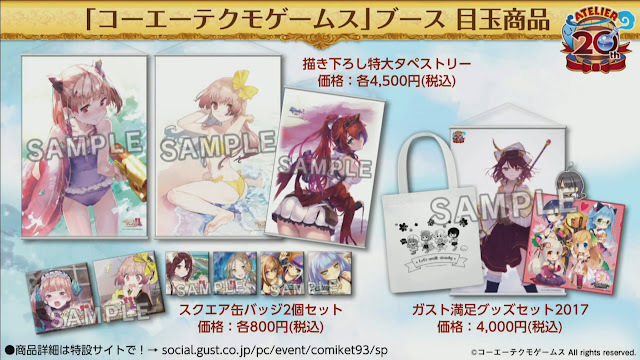 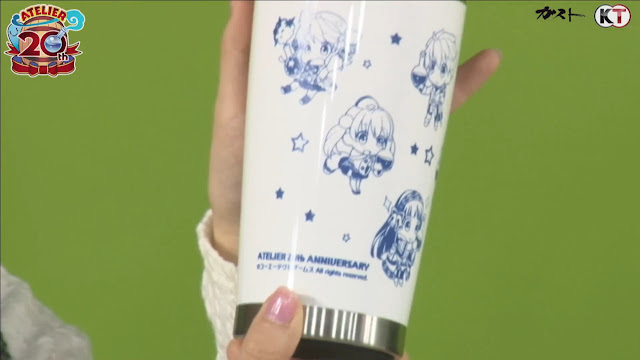 Gust Goods Set 2017 4,000 yen. 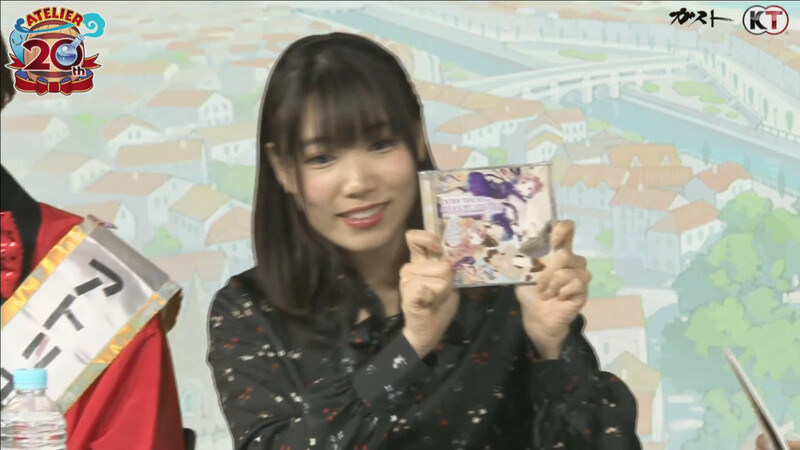 Blue Reflection Best Selection Type A, B OST CD.